As symbol of both royalty and revolution, the Palace of Versailles casts a long shadow over its inhabitants. Just half an hour from the French capital, the leafy city is classicism personified, which makes it all the more perverse that in the past 20 years, it has fostered some of the country’s greatest musical exports – Phoenix, Air, Alex Gopher and Etienne de Crécy, not to mention Daft Punk. Enter Philippe Thuillier and Emile Larroche, who together make up Saint Michel. Certainly their music bears the imprints of the city’s favourite sons, their songs striking that magical happy-sad sweet spot. On debut EP ‘I Love Japan’, the duo deftly blend synth swells, clipped beats and sun-warmed melodies to create what the duo call “sentimental electro-pop”. There’s the breezy optimism of ‘Crooner’s Eyes’, a palpable ache pulling at the robotic, R&B-influenced vocals of ‘Wastin’ Tastin’’, while a sinuous bassline weaves through the Balearic-tinged title track. Saint Michel expertly balance on the knife-edge of familiar and fresh. 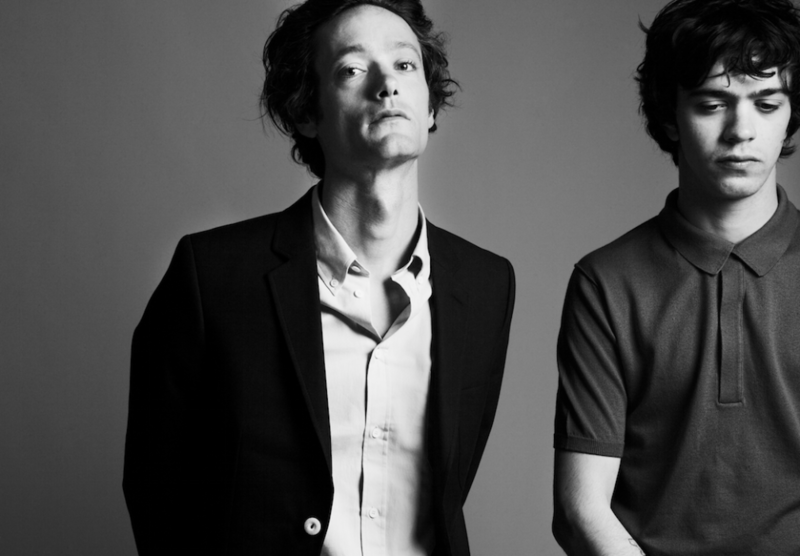 “We want to write sensitive songs, but we want to write songs you can dance to as well,” explains 28-year-old Philippe. Vintage keyboards might be a hot topic of conversation between the two, but girls dominate the band’s lyrical preoccupations. “It’s always about love, but it’s not easy love ­– it’s complicated love,” says Philippe. After time spent playing together in a previous band, Philippe and 20-year-old Emile splintered off to form Saint Michel just over a year ago, inking a deal with Columbia in XXXX. Early on their demos piqued interest, their live shows and EP inspiring excitable write-ups in the French press, which helped secure a forthcoming tour opening for Sebastien Tellier. Although the pair’s shared love of Boards of Canada, Aphex Twin, Radiohead, Curtis Mayfield, absurdist playwrights Samuel Beckett and Eugène Ionesco, and the artist Magritte make for a bewildering mix, these influences feed into what Saint Michel describe as happy accidents. “I think the cool thing about making music is you aim for one way and you end up another,” says Philippe. In fact his attempt to channel ’70s soul resulted in the louche and cosmic closing track ‘Noel Faded’. “The idea was to play Motown basslines, but we are French, we are white, we don’t groove in the same way, so the results are so different,” he explains. Born in Versailles, Philippe was raised in an environment that was both religious and conservative (his father is an army general); it was a family set up he describes as “too perfect”. At 12, when his parents divorced, Philippe’s world fell apart, but thanks to an older brother turning him onto Led Zeppelin, The Doors and Dire Straits, he soon found solace in music. It’s within this cocoon of stillness and relative isolation that the pair thrive. Away from the bustle of Paris, when Philippe and Emile need a break from the studio, they just step outside, smoke some pot, enjoy nature and watch the world go by – for a little while at least. Versailles takes its root from the Latin “versare” which roughly translated means to keep turning, over and over and over. And so it is with music: there’s always room for something more, something unexpected, something exciting, and Saint Michel are just that.